When James tells us to be “quick to listen”, it means being silent before and submissive towards God’s Word. It could also mean seeking godly counsel from others, whose experiences and advice point us towards Scripture. 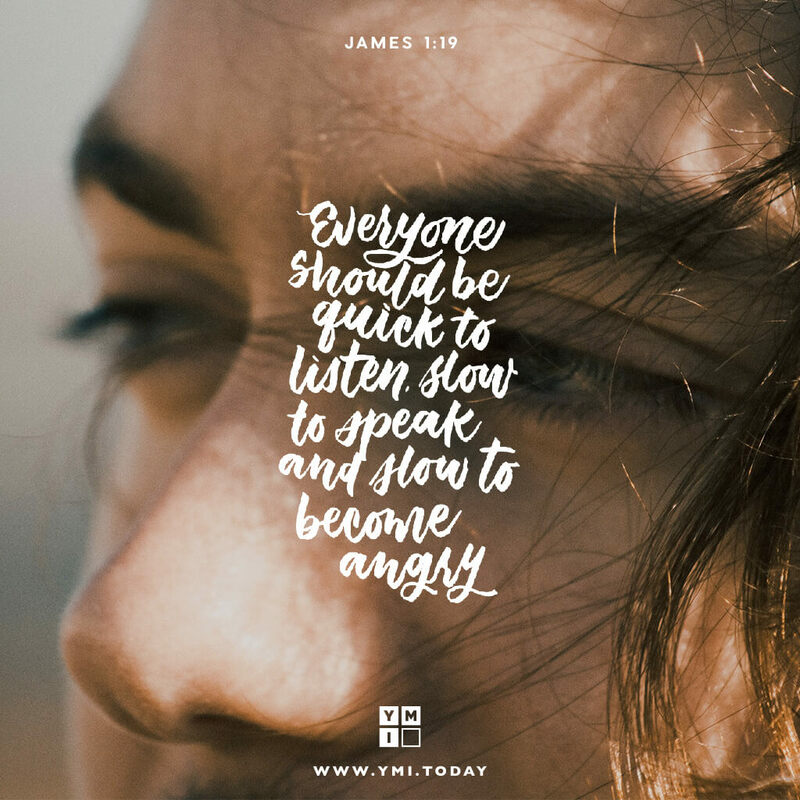 Conversely, James calls us to be slow to speak and slow to become angry. In pressing situations, we can become deaf to God’s Word and prone to sin against God in our hasty and angry response (v. 20). This is probably why James tells us earlier on in his letter of the need to be joyful in our trials and to endure in steadfastness—because God uses them to sanctify us and bear His fruit in us.